how do I deal with my 18 yr old grandaughter who is a heroin addict? My granddaughter has been using heroin since Dec 2012. She finally went to a suboxone clinic and failed the drug test twice. She called me and asked me if she could come and stay with me to get clean. I said yes. She stayed one day and then left with a friend. She now is staying with a recovering addict and said that she needs a couple more days to decide if she wants to go as an inpatient or outpatient. She has lied to her parents, stolen from them, lied to me. We are at our wits end and don't know what to do. We can't force her to go because she is 18 but we are afraid of losing her to this horrible drug! Comments for how do I deal with my 18 yr old grandaughter who is a heroin addict? Heroin addiction is a terrible disease that more and more families are facing. It is a disease that attacks the brain and disconnects the decision making part of the brain. The addict can no longer make well-reasoned informed decisions on their own. At 18, your granddaughter's brain is still developing making her all the more susceptible to addiction and its negative effects. Because she has tried out-patient treatment and relapsed she likely needs the support of inpatient treatment. Also, based on your comments she seems somewhat open to going into treatment. I would recommend calling your doctor and asking for a referral to an inpatient treatment program. Then call that treatment program and ask for the support of a professional interventionist. Meet with the interventionist and with their support plan an intervention to get your granddaughter to agree to treatment. Allow the interventionist to control exactly what happens and do what ever they recommend. Because heroin addiction is a fatal disease I recommend you do this ASAP! Also, you may want to consider contacting Teen Challenge in your area. Teen challenge is a one year Christian inpatient program. Your granddaughter likely needs a spiritual reconnection to recover from this disease. Also, you and her parents need to start attending Al-anon meetings in your area right away. Addiction is a long-term family problem and you must be in it for the long haul to help your granddaughter. The more you and her parents learn about addiction, its causes and treatments, the more likely it is you will successfully help your granddaughter to escape this hideous disease. Do you have a question or story? It's easy to ask your question or submit your story. How? 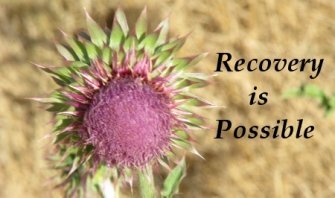 Simply click here to return to Drug Addiction Treatment.